Annual Golf Outing scheduled for June 17! 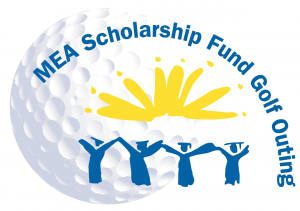 Register today to play in the nineteenth annual MEA Scholarship Fund Golf Outing. Space fills up quick – register today! This year’s outing is slated for Monday, June 17, at the Forest Akers Golf Course in Lansing. This event gives players the chance to support an event that provides college scholarships to public school students across Michigan. In eighteen years, the golf outing has raised more than $580,000 for the MEA Scholarship Fund. Since 1997, the fund has awarded more than $655,000 in scholarships. Golfers will tee off at 9 a.m. in a four-player scramble format, with a dinner program and prize drawing following the outing. A continental breakfast and lunch will be provided at the course. Entry fees for golfers are $120 per player. A portion of your $120 fee to play will be tax-deductible. You can also show your support by sponsoring a hole, donating a prize or by making a direct donation to the MEA Scholarship Fund. These donations are entirely tax deductible. A hole sponsorship is $125 per hole.